Jacob L. Vigdor joined the Evans School as a professor of public affairs in Autumn Quarter 2014. He arrived at the University of Washington following 15 years of service on the faculty of the Sanford School of Public Policy at Duke University. He received a B.S. in Policy Analysis from Cornell University in 1994 and a Ph.D. in Economics from Harvard University in 1999. His research interests are in the broad areas of education policy, housing policy, and political economy. 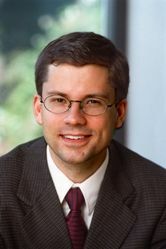 Within those areas, he has published numerous scholarly articles on the topics of residential segregation, immigration, housing affordability, the consequences of gentrification, the determinants of student achievement in elementary school, the causes and consequences of delinquent behavior among adolescents, teacher turnover, civic participation and voting patterns, and racial inequality in the labor market. These articles have been published in outlets such as The Journal of Political Economy, The Review of Economics and Statistics, The Journal of Public Economics, The Journal of Human Resources, and The Journal of Policy Analysis and Management. Vigdor's scholarly activities have been supported by grants from the National Science Foundation, National Institute on Drug Abuse, the Spencer Foundation, the Smith Richardson Foundation, the William T. Grant Foundation, and the Russell Sage Foundation. Vigdor has taught at Duke since 1999. Jacob Vigdor joined CReAM as an external fellow in September 2010.